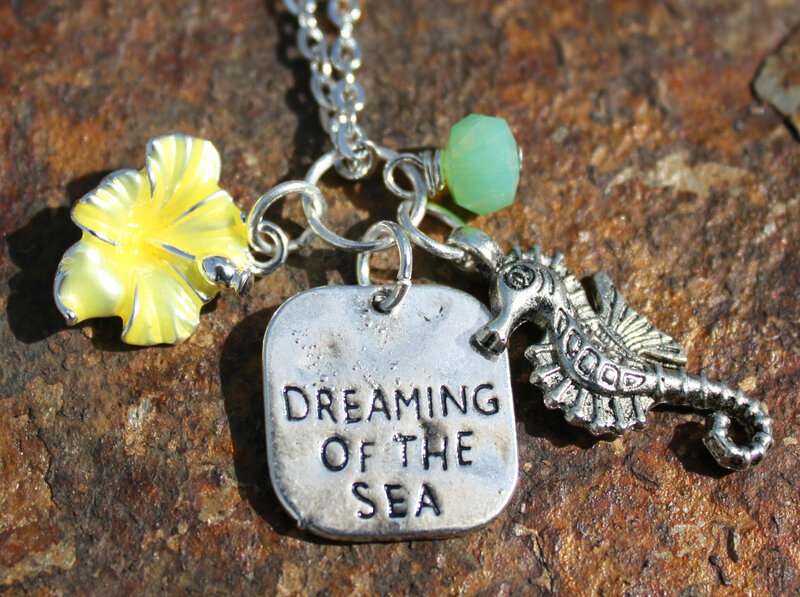 Beautiful yellow hibiscus flower makes this beach necklace pop. 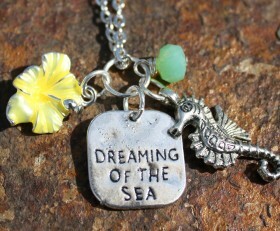 It also includes a dreaming of the sea and sea horse charm accented by a green sea glass bead on an 18″ chain. This necklace is very unique and will look good both casual and dressed up. You can choose your type of chain before checking out. . Categories: Beach, Surf Sun Necklaces, Beach, Surf, Sun Jewelry, Shop.